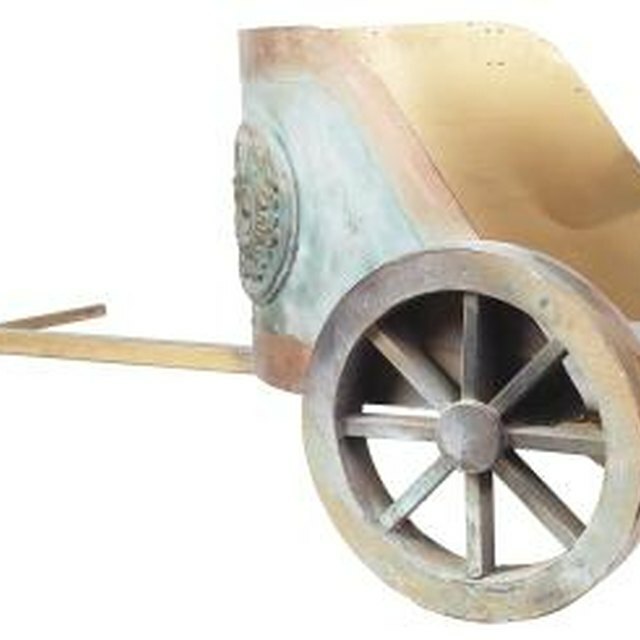 Chariots were commonly used in Iron Age warfare. Few substances have left as indelible a mark on civilization the way iron has. Arising in central Asia during the second millennium B.C., the Iron Age saw culture after culture make the leap from bronze to iron-based technologies. Between 1200 and 550 BC, the Iron Age overtook Near Eastern cultures. From there, it moved to Europe, coming to an end sometime around 43 A.D., the year Rome invaded Britain. A number of important advancements came about as a result of the Iron Age, but among the most significant was weaponry. The use of chariots was widespread at the height of the Near East Iron Age. 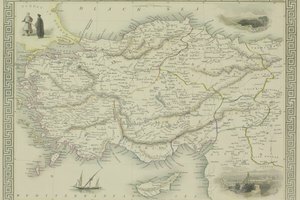 The Hittites and Canaanites employed them, as did the Greeks and Egyptians. 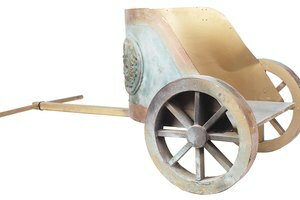 The chariot's primary purpose was transport on the battlefield. It was only during the later classical era that chariots were modified for racing. In battle, a heavily armored warrior could not be expected to move very quickly or mount and ride on horseback. The development of the two-horse chariot solved this problem. Now a driver could rapidly convey him to the battlefield and then retrieve him afterwards. If Iron Age warriors had difficulty moving about the battlefield, it is easy to see why. In the Near East, they wore armor made from bronze, iron, or a combination of both. Fashioned like a tunic, the armor might hang as low as the knees and extend all the way to the wrists. Their shields were cumbersome, too. In fact, they had to be carried into battle by a special corps of shield bearers. In Iron Age Britain, on the other hand, armor was rarely worn, and shields were generally wooden or leather. Swords of the late Bronze Age tended to be sickle-shaped. But as iron was introduced, the curve of the blade became less pronounced. These swords were more like large daggers and were usually hung in sheaths across the chest or back. They did not hang from the belt the way later swords would. Short swords and daggers were the weapons of choice in early Iron Age Britain, as well. Though the long sword had earlier been in use, it fell from favor, only to return later in the Iron Age. Javelins and spears were useful for assaulting an enemy from long ranges. Javelins were thrown, while spears were wielded by hand. These lighter weapons usually featured a metal tip attached to a wooden shaft. In the Near East, foot soldiers generally carried them into battle alongside a shield. When transported in a chariot, they were kept in a quiver attached to the side or rear. 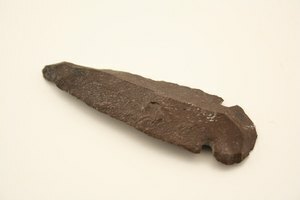 Javelins and spears were also used in Iron Age Britain. 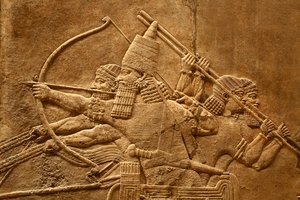 However, unlike the Near East, archery was used for neither war nor hunting. The bow and arrow would appear later in Northern Europe. Newby, Gregg. "Weapons Used in the Iron Age." 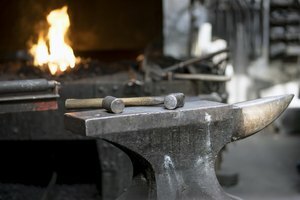 Synonym, https://classroom.synonym.com/weapons-used-iron-age-18314.html. Accessed 19 April 2019.